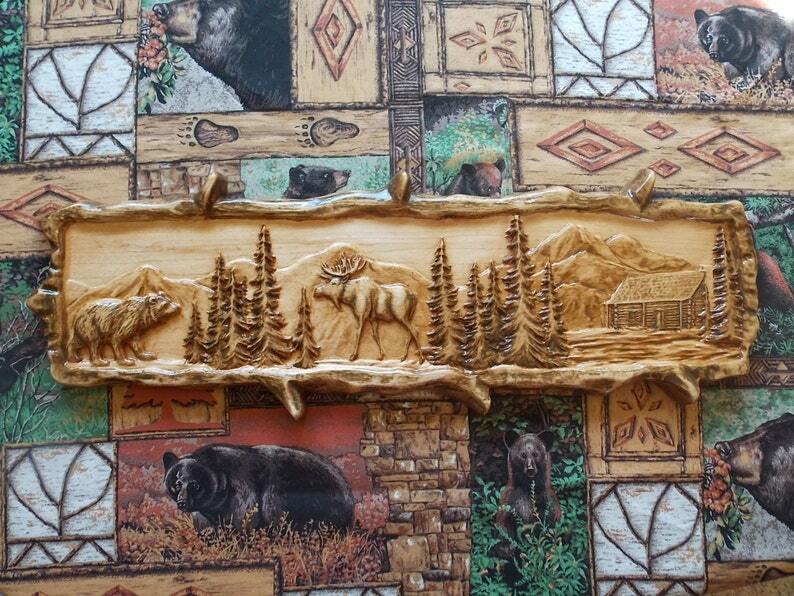 MOOSE DECOR: Moose Wood Carving Wood Wall Art Wall Hanging. This makes a wonderful Moose and Bear Wall Décor for any room in your home or cabin. "WOW" That's what your guests will say seeing that hanging on your wall! This makes the BEST wood 5th wedding anniversary gift, addition to your cabin or hunting lodge or gift for any gift-giving occasion.